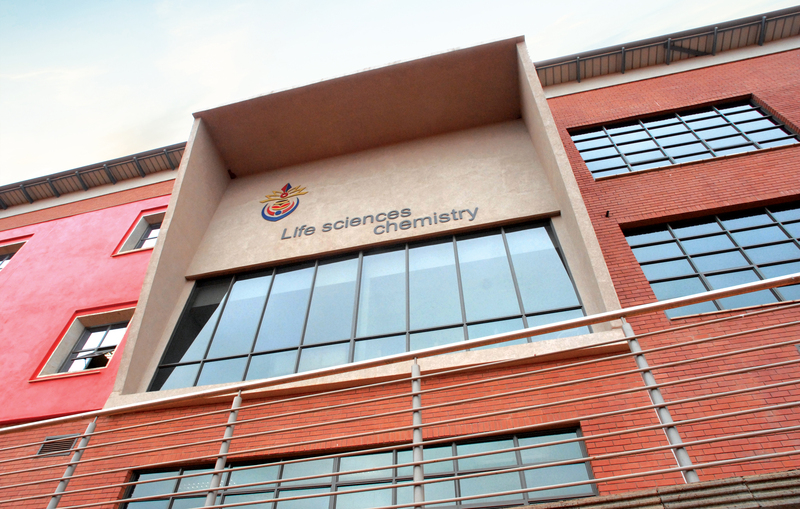 The building is designed for the faculty of Life Sciences And Chemistry and is sited within the campus setting of the University of Venda in Thohoyandou. This 10 000sqm building is constructed in a sub-tropical climate zone in Limpopo, with very hot summer days and extreme nights. 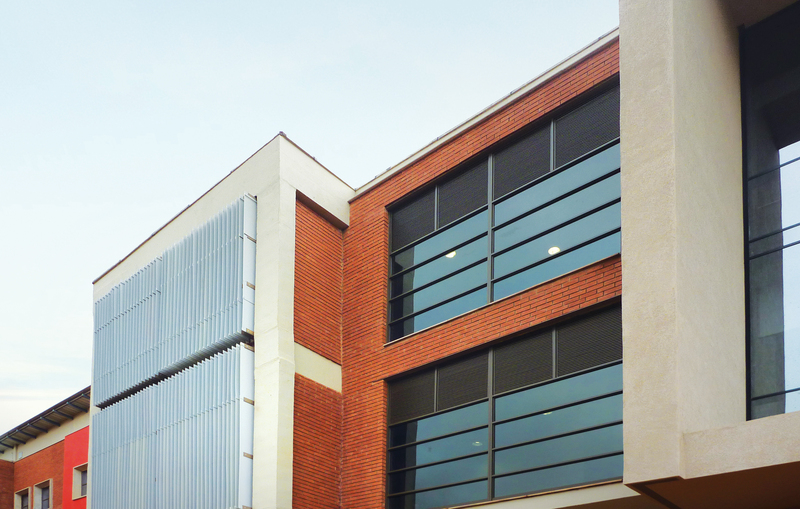 The climate became the key generator for the courtyard setup of the building configured around a cooled central atrium which acts as a thermally controlled outdoor space for students. 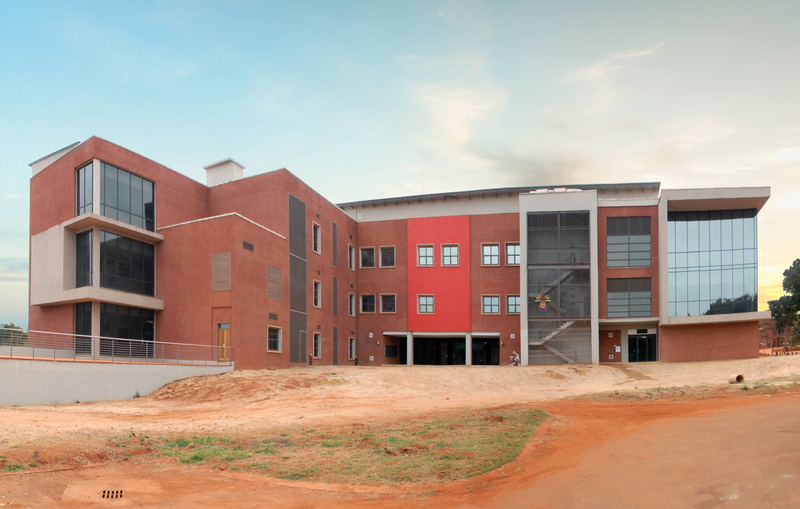 The brief was for a modern building to form part of the overall campus revitalization, located in a central position and to have access all around. The concept was to create an elevated building mass which can allow for cool breezes right across, into a central courtyard and to extract hot air through the stark effect. This was achieved by creating an open public gallery on the ground level with controlled access (sealed at strategic locations for thermal purposes); this forms the void with circular columns and carries the total building mass. The building mass is a composition of various materials of different textures and colours.